Using multi integrated tools, the ArtiArt’s ArtiCard pocket multi-tool has been ready to serve you during meals. Sounds cool? Let’s keep checking. 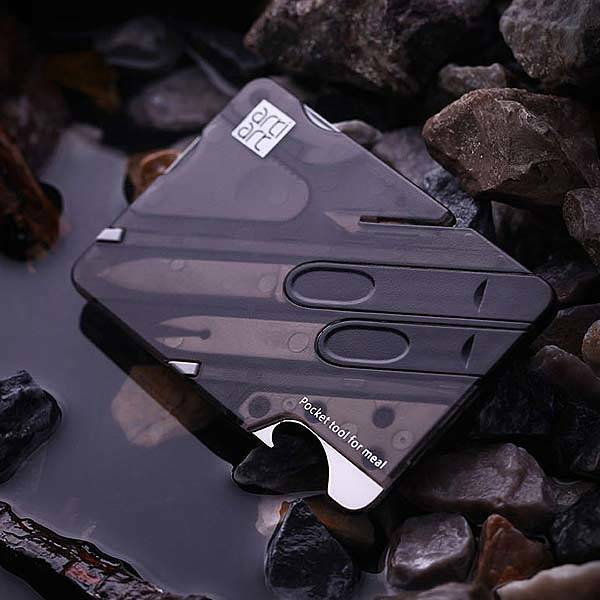 The ArtiCard is a multi functional and practical pocket tool that measures approx 82 x 54 x 4mm. 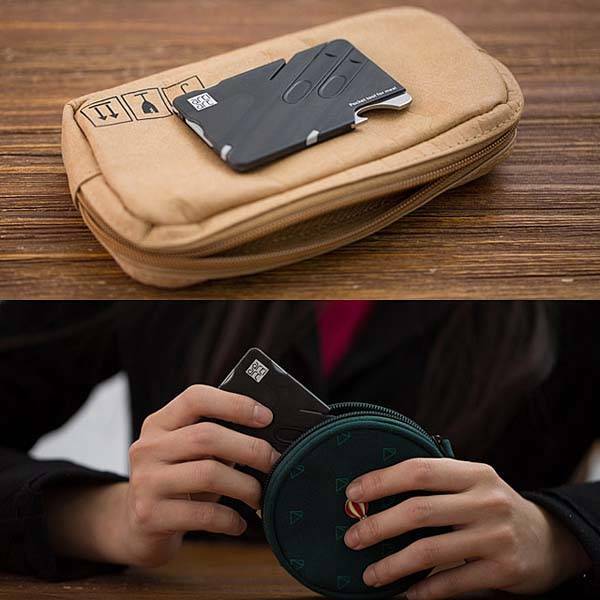 As we can see from the images, the multi-tool shows off an ultra compact and minimal appearance, so you can easily take the pocket tool with you anywhere you go, and its durable ABS casing keeps all integrated tools organized in place when not in use. 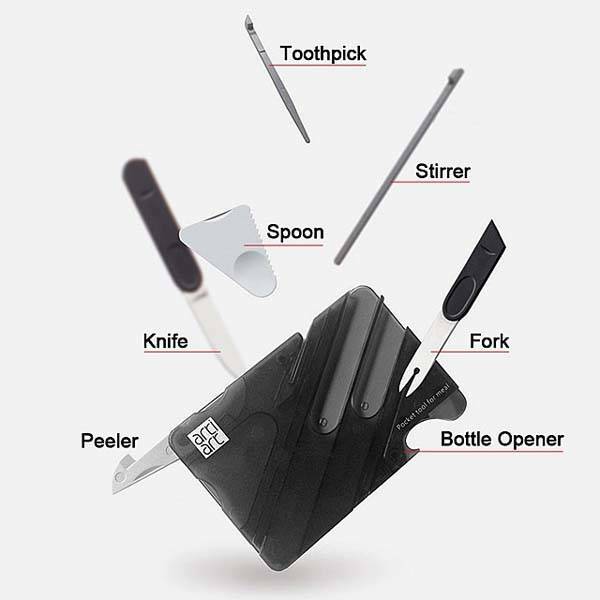 The pocket multi-tool comes with 7 useful tools which bring you much convenience during meals no matter you’re inside or outdoors including knife, fork, spoon, peeler, stirrer, toothpick, and bottle opener. Moreover, all tools are built with high-quality ABS and stainless steel for durability and food safety. The ArtiCard pocket multi-tool is priced at $25 USD. If you’re interested, jump to Brando for its more details. BTW, also don’t miss Lever Gear Toolcard and more related cool stuff by following tags.